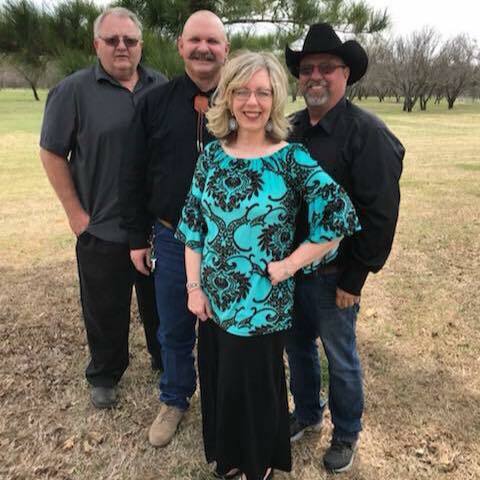 Hanks & Company, a traditional bluegrass/bluegrass gospel band, is comprised of members Eddie Hanks, Debbie Hanks, Klint Trammell and Stephen Foster. This group loves the Lord and enjoys playing for churches, festivals, fundraisers, or any event in need of a traditional bluegrass sound with a positive, uplifting message. Eddie and his wife, Debbie, helped form the band Cedar Creek in 2007 before it was renamed Music Mountain in 2008. After leaving Music Mountain, they hooked up with great friend Danny Milner and became Hanks & Company. The band added a very talented, young fiddle player named Jasey Davis and released their CD titled “Songs To Sing, Tales To Tell” in 2010. Eddie has been playing guitar and mandolin since he was about 7 years old. He began playing in his father’s band called Texas Grass then moved on to play in Southern Union in 1992. Since 2004, Eddie has concentrated mainly on his banjo pickin’. Debbie is his wife, and before she met Eddie she had not had any experience with bluegrass. She enjoyed singing in church and school choirs, and she also sang with an a Capella group while attending Texas Tech University in 1987. Eddie began teaching her how to play the bass in 2004 and states that he has “created a monster” now! This couple lives in Seymour, Texas. Klint Trammell joined Hanks & Company in July 2017. He began playing mandolin in 1982, then switched to guitar and has played with several bands including The Williams Family Band, Calvary Crusaders, Gospel Hillbilly Revue, Greystone Bluegrass Revival and Cheaper by the Pound. Klint and his wife, Carolyn, make their home in Newcastle, Oklahoma. In October 2017, the band completed their group with the addition of Stephen Foster who started singing gospel and bluegrass music with family and friends on his grandmother’s front porch in Alabama. He began playing guitar at aged 10 then mandolin later as an adult after work took his family to California. While there, Stephen played in several bands before moving to Oklahoma where he played with his main band, Six Mile Line Bluegrass, until 2013. Stephen and his wife, Debbie, reside in Bridge Creek, Oklahoma.